I came across this lovely book a few weeks back and have been reading bits from it whenever I get a chance. It’s not a big book and isn’t difficult to follow. It’s a straightforward guide with an Islamic perspective. 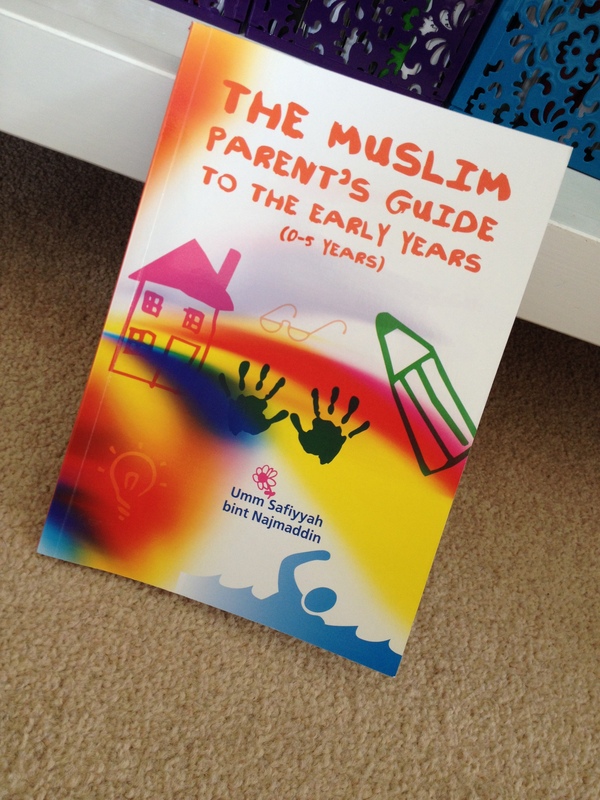 The sister has included lots of ideas to use with children from an early age – it allows a parent like me to enhance on some of the ideas and implement them in my household. Last night I read a few paragraphs from it that has not only made me reassess how I’m exposing my daughter to the Quran but also about how I’m exposing it to myself. I thought I’d share it here as I’m sure lots of other sisters will benefit too. Here’s an excerpt from the chapter titled, Intellectual Development And Play. The brain is obviously an organ of intellectual capacity, but Islam also places great emphasis on the heart as an organ of understanding. Thus, any programme of intellectual development for your child must not only focus on developing their brain functions but also a sound heart at the same time. The heart is the core of a believer and affects everything that a believer does, thus developing your child’s heart (and yours at the same time) will be of the greatest benefit in this life and the next. The best way to feed the whole intellect of your child, brain and heart, is to introduce the Quran to them from the earliest age on a regular basis. There is within the Quran everything that a child needs to think about science, history, mathematics, language, the opportunity to develop their memory as well as providing comfort to the heart. Another good quality to nurture is the faculty of thought. Allah frequently calls upon the Ulul albab (men of understanding) to think and reflect upon his signs. The best way to progress memory and the ability to reflect is simply to recite and memorise the Quran. Committing as much of the Quran as possible to memory will help improve the memory function in general and there is a great deal in the Quran upon which a person of any age can reflect. InshaAllah will share more. It makes me very happy to know that a sister has taken the time out to compile this. The author, Umm Safiyyah hint Najmaddin is a mother of two. She has a Diploma in Child Care and Education, she is a passionate advocate of the Islamic education and has extensive experience working with pre-school children. this book sounds beautiful mashaaAllah.